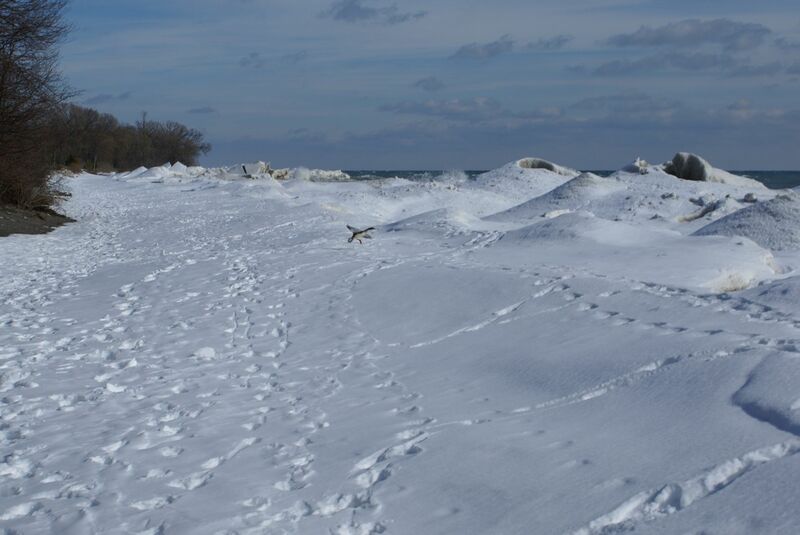 Walking along the frozen shore of Lake Ontario, a duck flew buy. 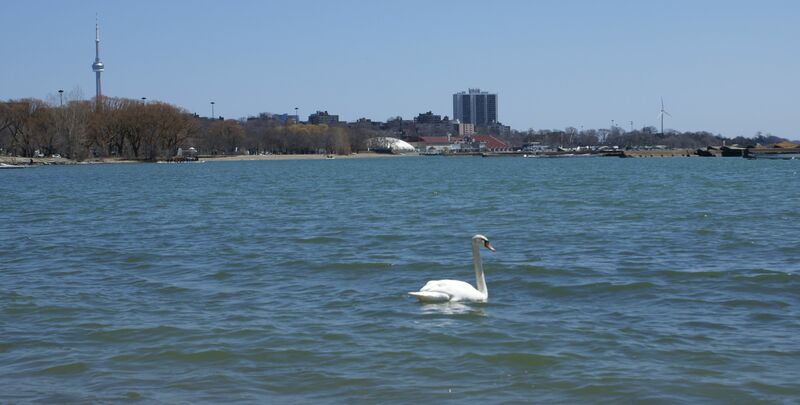 This swan is braving the cold waters of Lake Ontario. But at least the view is nice. It always amazes me to see swans swimming in icy water. Lake Ontario is quite stunning in winter. 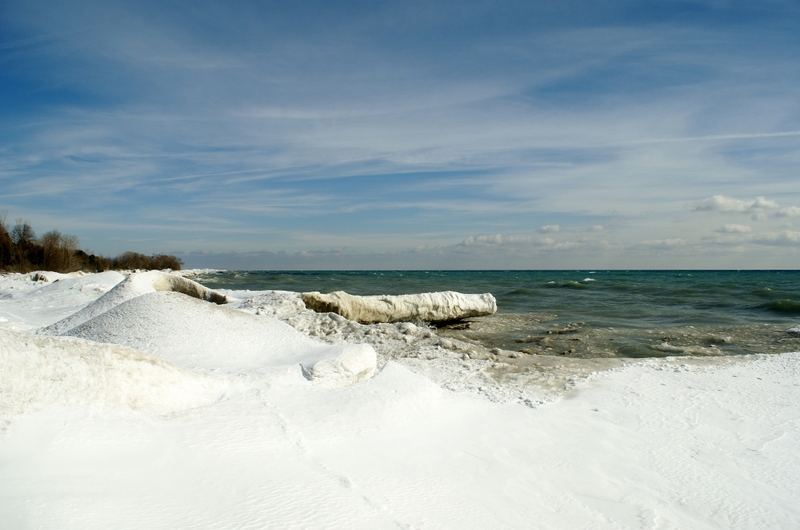 The beach is covered in deep snow and ice. The waves constantly pound the ice formations on the shore. It is a wonderful place for a Sunday walk. 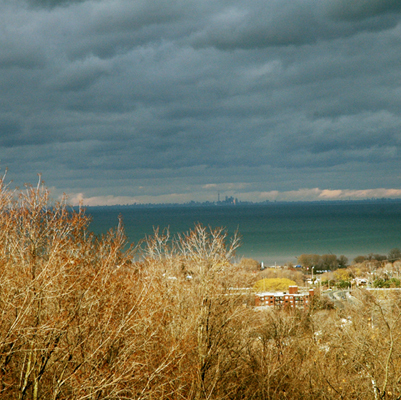 It was a nice clear spring day, a little cloudy as one can see, and I found myself on the Niagara escarpment directly south of Toronto. You can make out the CN Tower and the other buildings. I had to park in a crazy place to get this picture and was hoping no cars would come by.